Jeremiah Lowe was hired at the Gomez Firm in August 2009. In the years that he has been an attorney with the firm, Lowe has resolved numerous seven-figure cases and in assisted his clients in obtaining combined settlements in excess of $30 million. Lowe has had many highlighted achievements in his work. One highlight came just a few months after he joined the firm: He assisted trial counsel Robert Hamparyan and Ryan Harris in a complex eight-week trial, which involved a young girl who suffered a traumatic brain injury and significant orthopedic injuries a result of a head-on collision. The trial resulted in a jury verdict for plaintiff in excess of $13 million. Lowe started practicing law with the McClellan Law Firm representing plaintiffs in personal injury litigation. He worked for Walters & Caietti APC from 2006-09, where he learned litigation from a defense perspective. In August 2009, Lowe became a trial attorney at The Gomez Firm. In 2012, he was promoted to senior trial attorney. 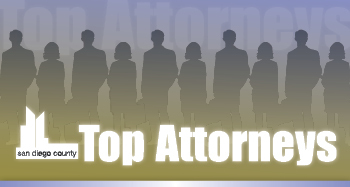 Lowe has earned various recognitions in the past, including recognition as a Young Attorney in 2011 and Top Attorney in 2012 by The Daily Transcript. Lowe is a member of the Consumer Attorneys of California, Consumer Attorneys of California and American Association of Justice. Lowe believes that it is important to give back to the San Diego community, and has committed his time to helping those less fortunate. He has volunteered with the Legal Aid of San Diego, including assistance with their mediation program for juveniles in rehabilitation facilities as well as providing assistance to individuals who were devastated by the San Diego wildfires in 2007. He is now involved in the Restorative Justice Mediation Program as a certified mediator. He has also volunteers for Autism Speaks, NFAR and MADD. Lowe was born and raised in Cleveland. He has been a resident of San Diego since 2001. He is married to Sarah Lowe, a clinical director for Easter Seals, which provides in-home behavior services to families with children diagnosed with autism.